Did you know that more than 1 million Americans sustain injuries on staircases every year? There are also upwards of 12,000 deaths that take place on an annual basis because of accidents involving stairs. 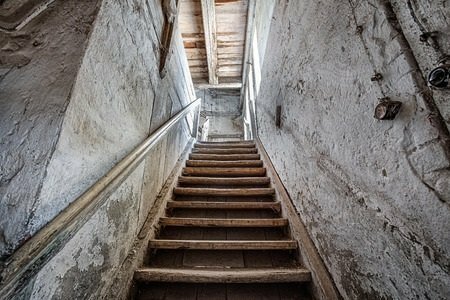 Startling statistics reveal why it’s so important for those purchasing homes and businesses to have staircase inspections done. When you take a quick glance at a set of stairs, they might look fine to you at a glance. But there are all sorts of problems that can plague stairs and make them dangerous to those who use them regularly. For example, there are some sets of stairs that have handrails that are loose, splintering, or even missing altogether. There are also sets of stairs that have treads on them that are uneven, loose, cracked, or not properly supported. Additionally, there are stairs that are too steep, tread that is not deep enough, stairs that don’t provide people with enough headroom, and stairs that don’t have enough lighting around them. There are even stairs that have been covered with too much wax, thus making them slippery and increasing the chances of someone falling them and getting hurt or suffering a fatal injury. These things might not necessarily be evident when you’re standing at the bottom of a set of stairs looking up at them, but they could cause serious complications if you’re not careful. Prior to buying a home or business, you should always have it inspected. Professional inspections and environmental testing as well as mold and radon testing are vital. Call Pristine Inspections at 217-352-3743 today to schedule residential or commercial inspection services.